You know me well enough now to know i'm a little bit excited for Christmas already, so it should come as no surprise that i spent some time last weekend picking out some festive decorations for the new house. 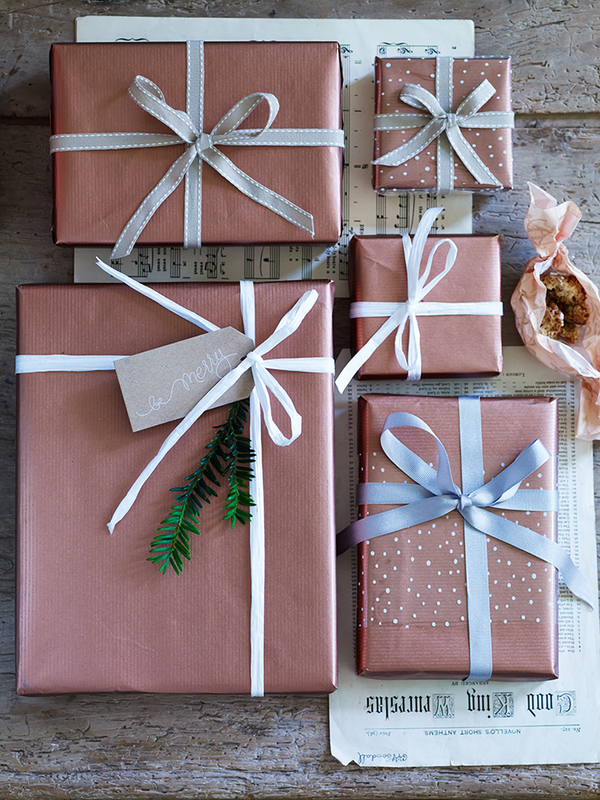 I know it's still a few weeks away until it's deemed acceptable to start putting up decorations but i just love browsing all the beautiful new wrapping paper designs, the gift collections and my personal favourite, all of the new hanging decs! One mini trend i've noticed this year is the introduction of copper as a new material and colour - no longer is it just something found in the DIY section at Homebase, but it has made its way into all of the new Christmas and homeware designs..and lucky for all of us addicts, a lot of stationery products too! Yippee!! 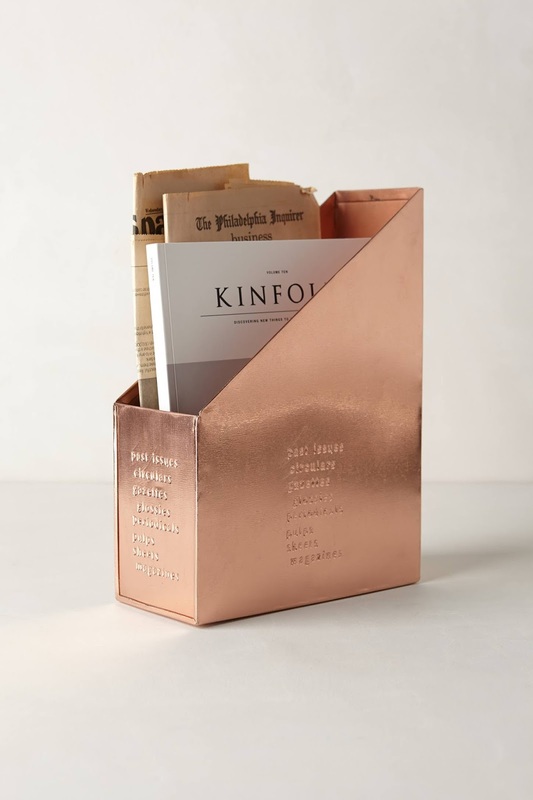 I just love the new copper desk accessories from Anthropologie! This magazine file has definitely made it onto my Christmas list. These Kate Spade folders from Selfridges are also on my wishlist - if anything can make you excited for a bit of filing it has to be these! 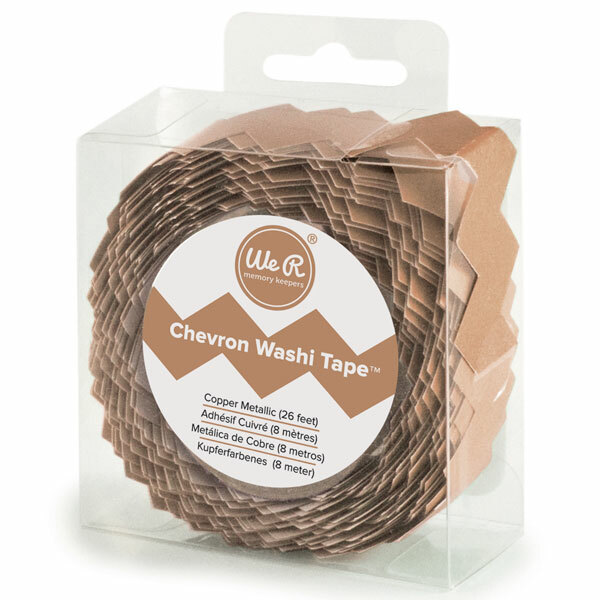 If you just want to try adding a little copper to your stationery collection without investing too much into the trend then this chevron washi tape from We R is perfect for you. I love the twist on traditional washi shape too! And finally i couldn't not include some of my favourite Christmas gift wrap from Cox and Cox - i love how just simply using this wrap with a tie makes it look so elegant and special don't you think? 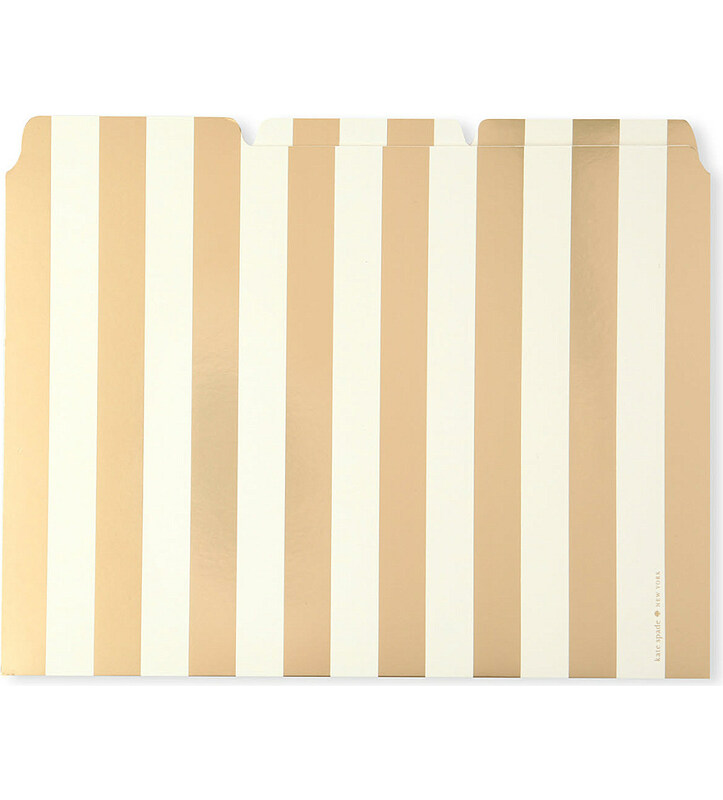 Oh gosh those Kate Spade folders are beautiful!